Stepping into our café is like stepping right into Giovanna’s home as a welcomed guest – from the casual ambiance to the fabulous homemade dishes made from the finest ingredients to Giovanna’s friendly chatter. When you’re here, you’re family. Giovanna’s passion is infectious – your first visit to Giovanna’s won’t be your last! Restaurants and fabulous food are an innate part of Giovanna’s being. In true Sicilian tradition, Giovanna grew up with food as the center that brought family and friends together. Born into a family of incredible cooks and the daughter of a restauranteur, Giovanna’s love of cooking began. 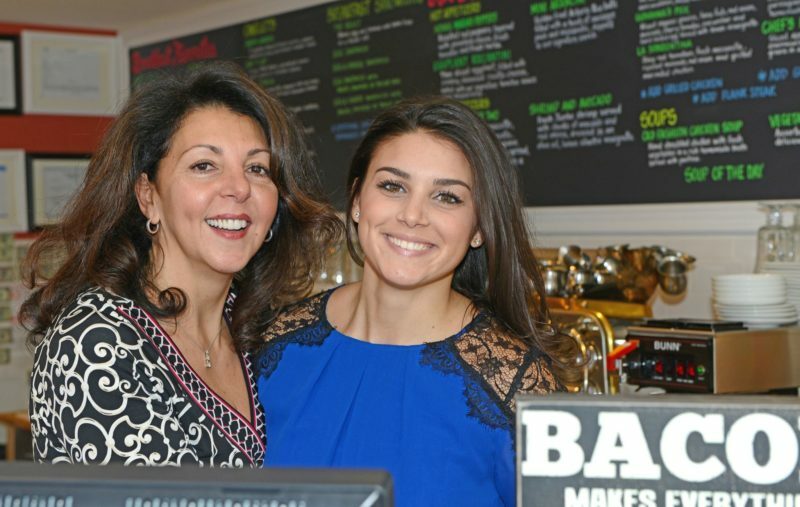 A stay-at-home mom who loved to cook, Giovanna drew upon inspiration from her mother, father and mother-in-law to pursue her dream – Giovanna’s Café. In addition to beloved, handed-down recipes, Giovanna artfully creates new menu selections, testing, testing, and testing again until they are just right. Each dish must pass the Giovanna Test or she won’t serve it! Only the freshest ingredients will do for our simple, clean flavored dishes. We hand-select our purveyors – the butcher, the baker, the fish store, local farms. We also source artisan gluten-free ingredients to prepare our gluten-free dishes. You will taste the difference from the first bite. Come let Giovanna make you part of their family.